Oregon has a well-established network of hemp growers and processors, plus a sweeping new testing regime. The new testing law requires hemp producers to give their products the same testing as marijuana, meaning Oregon hemp products will be food-grade quality and tested for pesticides and contaminants. The new testing law took effect Oct. 6. It could position Oregon hemp products for national dominance, a prospect that isn’t lost on farmers in and out of the marijuana business. 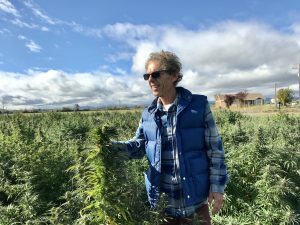 “We’re bringing more farmers in every day,” said Courtney Moran, a Portland attorney who represents hemp growers and serves on the Oregon Industrial Hemp Rules Advisory Committee. Here’s what you need to know about Oregon’s hemp market. Oregon has authorized hemp cultivation since 2009. But the state’s Department of Agriculture didn’t license the first hemp grower until 2015, after Congress expressly authorized states to allow hemp. The state requires separate licenses for growing and processing hemp, though some businesses hold both. Each license costs $1,300 a year. Oregon also issues a license for producing viable hempseed. Those permits cost $120 a year and must be held in conjunction with a growing or processing license. The state has no background check requirements for hemp growers or processors. But hemp producers are subject to the nation’s most exhaustive testing requirements, with 100% of registered hemp fields tested for THC content. Even though Oregon allows seed and fiber production, nearly all the hemp growers are raising plants for CBD extraction. The state has a limited number of hemp growers pursuing seed production, and no known processors for fiber. 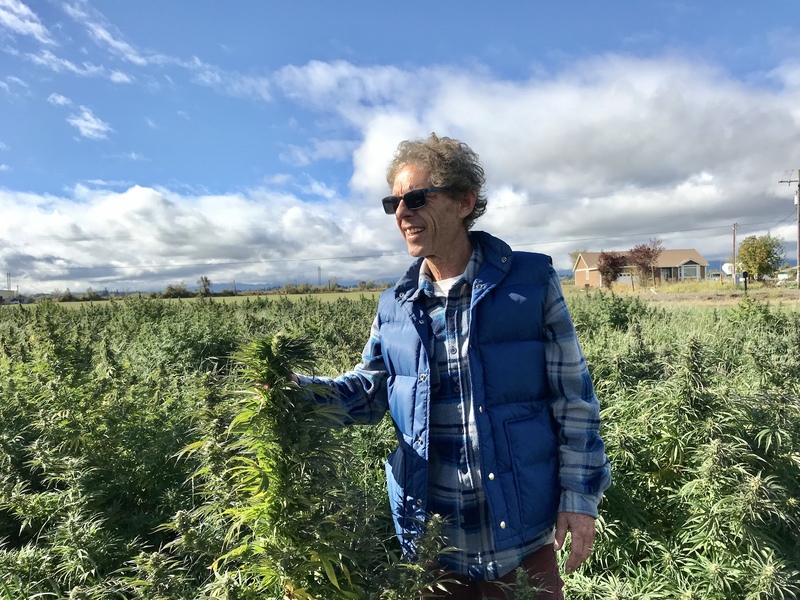 “I don’t even know where you’d sell fiber,” said Jerry Norton, head of the Oregon Hemp Growers Association and a Salem-based hemp grower. $100 or more per pound of dried flowers or buds for use in CBD extraction. As in other states, prices vary widely based on CBD content. One large processor pays $10 per pound per CBD percentage, meaning that flower product at 13% CBD would fetch $130. Less than 50 cents per pound for seeds to be eaten as food products or pressed for seed oil. No reliable price per pound for stalks to be turned into fiber, because the market is so limited. In 2016, the state studied the prospect of using hemp stalks and other hemp products in animal feed, but the Department of Agriculture decided it was too risky, making that use off-limits for Oregon hemp producers. A new hemp-testing law in Oregon could change the market significantly. The law requires hemp-derived products destined for human consumption to undergo the same strict product-testing requirements as commercial marijuana. That means no pesticides and no significant contaminants. “Our food products are not tested as critically as our hemp,” said Sarah Bennett, director of Odyssey Hemp, a Portland hemp sales and distribution company. Hemp-derived CBD products sold in Oregon will also have to carry labels guaranteeing their CBD content, similar to how marijuana products carry THC content labels. The changes are huge, representing the first statewide requirements of their kind in the nation. And the Oregon hemp industry supported them. Producers aren’t sure what that means for consumers, though some warn that fee hikes will be passed on to consumers. Potential CBD price hikes are “a concern when at the end of the day most people are consuming CBD for its medicinal value” and are sick, Bennett said. Still, Oregon hemp growers are betting that their state is positioning itself for strong nationwide growth as other states expand hemp and marijuana law and consumers seek assurances the products they’re buying are safe. “The Oregon name really means something, and that’s only going to be more and more valuable moving forward,” Norton said. 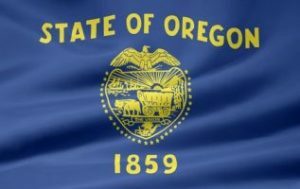 Oregon could also find itself serving as a template for other hemp states, Bennett said. “In California and Washington, that evolution is going to occur, and they’ll be looking to Oregon,” she said. Great to see Jerry doing so well in Oregon. We Hemp farmers here in California wish him the best and are glad to see Oregon in the news for something. Of course that changes next year as California ramps up its Hemp production. We tend to do things differently here in sunshine state. One thing that just developed is that some Counties will harvest your legal Hemp grow for you at no charge. One case in point. Our ( San Joaquin County)26 acre DEA compliant with Research oversite and Dept of Agriculture paperwork filed at the grow site was harvested (stolen) by the Sheriff three days before harvest time. And has since disappeared from wherever they took it as evidence. While we feel that most California Sheriff’s do obey the laws of the State, some good old boys, still have this “not in my town” attitude. Below is a little about a $77 million lawsuit we filed to thank them for lending a hand (25 officers, two big rigs with D8 monster tractors) to harvest for us. Thanks! I love hemp and just do not understand the ignorance that surrounds it. Cops watch reefer madness as training so it is on them to move to 2017. Sue for trespassing, no warrant anything you can, go for ownership of those D8’s… go for their money! Never thought the NIMBY title would extend to ranch country as it has. Our freedom loving neighbors call task force every other week on our licensed 502 grow in Washington state. They sit on their veranda laughing, drinking beer all night long then drive home while they call a false complaint to the task force. NIMBY has always been associated with city folk being too righteous for their postage stamp home lot. Now we have NIMBY ranchers using local law enforcement to destroy their neighbors. At least the city NIMBY’s have a conversation before a mass protest. So I say, yay for Oregon and the citizens of that great State. Their reasoning is light years ahead of California and Washington. Apologies for brashness but, Cali will be lucky if they can get their policy straight within the next 10 years, too many people live in that sunshine state for things to go smooth.